Cocaine: History, Social Implications, and Toxicity. A Review. Rachel A. Goldstein. Dis Mon 2009;55:6-38. 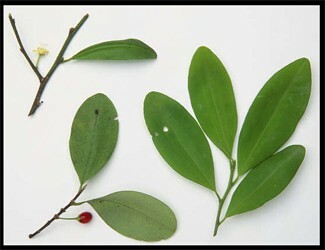 Background/History of Use: Cocaine is a naturally occurring substance found in the leaves of the Erythroxylum coca plant. The plant is endogenous to <?xml:namespace prefix = st1 ns = "urn:schemas-microsoft-com:office:smarttags" />South America, Mexico, Indonesia, and the West Indies. Peoples of ancient civilizations used the coca leaves for religious and ceremonial reasons. Remains of coca leaves in the cheeks of Peruvian mummies have been found. These ancient civilizations used a mixture of coca leaves and saliva as a local anesthetic for ritual trephinations. Trephinations involved removing a circular section of bone from the skull. It is not entirely clear whether these procedures were done for ritual purposes or for treatment of various conditions including head trauma. When the Spaniards conquered South America in 1492, they ignored the claims of “the power the leaf gave” and abolished its use. Shortly alter this, they discovered the claims of the coca leaf; it became legal and a 10% tax was added to the value of the crop. The Spanish needed native workers for the silver mines after they conquered the New World. Work in the silver mines was arduous and taking coca reduces appetite and increases physical stamina. Hence there was a great surge in coca use and the number of coqueros (coca-chewers).